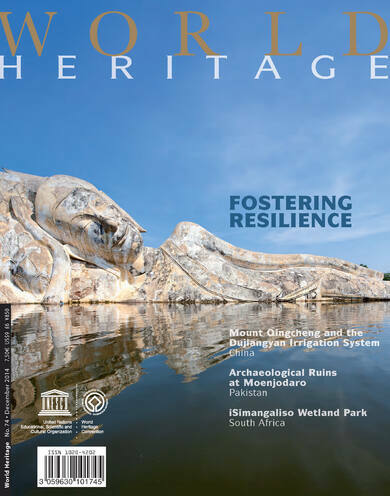 World Heritage sites are exposed to a wide variety of natural and human-induced hazards, such as earthquakes, cyclones or fires, which can have devastating effects on their value as well as on the lives and assets of the communities concerned. The reconstruction project combined the objectives of heritage conservation, post-disaster reconstruction and social equity through broad community participation and close cooperation among concerned government agencies, stateowned enterprises, local residents and universities. iSimangaliso has built ecological and social resilience, dealing with risks to the site, and is implementing a broad-based strategy that will mitigate the social and ecological stressors associated with predicted environmental change. The post-disaster development programmes undertaken by the Heritage Foundation of Pakistan are designed to nurture traditional and creative skills, particularly of women in marginalized sections of society. The 3rd UN World Conference on Disaster Risk Reduction, which will take place in Sendai (Japan) from 14 to 18 March 2015, is the most important intergovernmental gathering on disaster risks in ten years. The conference is expected to adopt the post-2015 international policy on Disaster Risk Reduction. Margareta Wahlström, Special Representative of the UN Secretary-General for Disaster Risk Reduction and head of the United Nations Office for Disaster Risk Reduction (UNISDR). 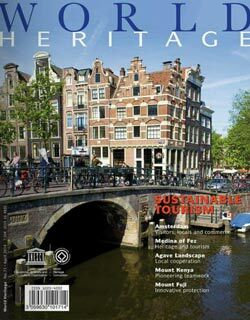 Managing Disaster Risks for World Heritage: a tool for identifying, assessing and reducing risks for heritage. 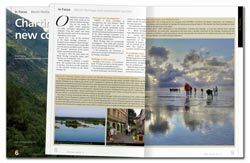 Thirty-four new Intangible Heritage elements; Seven projects in creative sector receive financial support; The International Committee on Risk Preparedness (ICORP); Multilateral cooperation on biodiversity. From hunter-gatherers to food producers; World Heritage at SIDS on Samoa; Business plan helps local entrepreneurs. Protecting Madagascar’s rainforests; Safeguarding Iraq’s cultural heritage; Grazing Pressure Reduction moves forward in Ethiopia; No poaching following Danger listing. World Heritage Volunteers at work in rice terraces; Strengthening collaboration for Dja Faunal Reserve; The Nordic–Baltic World Heritage Network discusses sustainable tourism; Young Leaders film World Heritage sites at Media/Communication Training Workshop in Gyeongju.